PAN P103 – [View of the 1900 Block and 2000 Block of Nelson Street], http://searcharchives.vancouver.ca/view-of-1900-block-and-2000-block-of-nelson-street. The Vancouver directories after 1888 include listings for George McLaren Brown in almost every year until 1901, but nothing shows him anywhere on Nelson Street. However, Major Matthews usually had a good reason when he included information in the archives, so it is possible that Mr. Brown did have a connection with Nelson Street. 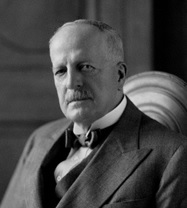 George McLaren Brown was involved with the Canadian Pacific Railway throughout most of his career. He arrived in Vancouver about 1887, where he started as a ticket agent. Later he was a district passenger, a general agent, and an executive agent. He was born in Hamilton, Ontario, on January 29, 1865. His father was Adam Brown (1826-1926), who was active in the railway industry. Adam Brown was a Member of Parliament from 1887 to 1891; he was also a friend of Prime Minister Sir John A. MacDonald. George’s mother was Adam Brown’s second wife, Mary Kough, who was the daughter of Thomas Harley Kough. She at sea in 1896 while returning from England. George went to school in Hamilton and in Shrewsbury, England. He later went to Upper Canada College in Toronto, where he was a well-known rugby and cricket player. He worked with the Northern and North-West Railway in Hamilton, Ontario, from 1881 to 1883. He was with the Grand Trunk Pacific Railway from 1883 to 1887. He moved to Vancouver about 1887, and stayed until about 1902. On April 16, 1891, in Hamilton, Ontario, he married Eleanor Graham (or Grahame) Crerar. She was the daughter of John Crerar, a prominent Ontario lawyer. It appears that George and Eleanor had no children. During the First World War, he was assistant director-general of movements and railways in the British War Office. In 1919, he received the title of Knight Commander of the British Empire for his work during the war. He was a vice-president of the Royal Humane Society of Canada. He was also a member for Canada on the International Olympic Committee. He retired from the Canadian Pacific Railway in 1936. He died in Toronto General Hospital on June 28, 1939. He was buried in Hamilton Cemetery. 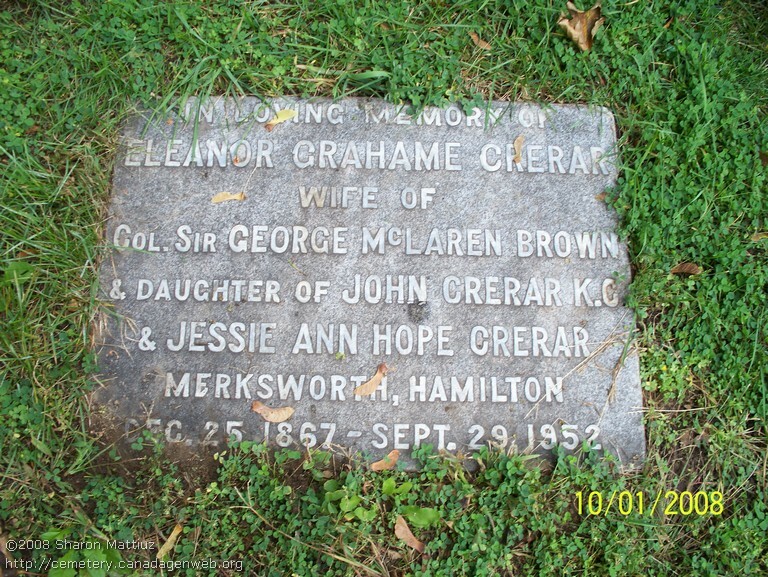 Eleanor died in Hamilton on September 29, 1952. She was buried in Hamilton Cemetery. Adam Brown (1826-1926), Macmillan Dictionary of Canadian Biography (third edition, 1963), page 84. Adam Brown, Hamilton, Ont., Prominent Men of Canada, ed. G. Mercer Adam, Toronto, Canadian Biographical Publishing Co., 1892, pages 114-116 (includes photograph). Adam Brown, Canadian Men and Women of the Time, (first edition, 1898), pagesw 118-119. Adam Brown, , A Cyclopedia of Canadian Biography, Being Chiefly Men of the Time, ed. George Maclean Rose; Toronto, Rose Publishing Company, 1886, pages 614-616. Adam Brown, Canadian Parliamentary Company, 1889, ed. J.A. Gemmill; Ottawa, J. Durie and Son, 1889, pages 105-106. Adam Brown, National Encyclopedia of Candian Biography, ed. Jess Edgar Middleton and W. Scott Downs, Toronto, Dominion Publishing Company Ltd., 1935, page 9-11 (includes photograph facing page 9). “Adam Brown Near 11 and Still Very Much Alive,” Vancouver Province, October 11, 1924, page 22 (includes photograph). George McLaren Brown, Canadian Men and Women of the Time, (second edition, 1912), page 154. Colonel Sir George McLaren Brown, K.B.E., Who Was Who, 1929-1940, page 171-172. Sir George McLaren Brown (1865-1939), Macmillan Dictionary of Canadian Biography (third edition, 1963), page 85. Sir George McLaren Brown: Sportsman, Soldier, Canada’s 3rd IOC Member, The International Olympic Committee and Canadian Co-option, 1928-1946, Robert K. Barney, Malcolm Scott, and Rachel Moore, ‘Old Boys’ at Work and Play, http://library.la84.org/SportsLibrary/Olympika/Olympika_1999/olympika0801e.pdf; pages 83-90. Much to Be Done: Private Life in Ontario From Victorian Diaries, By Frances Hoffman, Ryan Taylor, http://books.google.ca/books?id=BuYqTpSRZ3IC&pg=PA249&lpg=PA249&dq=%22adam+brown%22+hamilton+mary+1896&source=bl&ots=XuR1SmeqqK&sig=woaFxplaEjVT_PJFwKFsJeu_mGg&hl=en&sa=X&ei=i9X4U7i4B6O6iwKQnIE4&ved=0CDEQ6AEwAw#v=onepage&q=%22adam%20brown%22%20hamilton%20mary%201896&f=false, page 249 (Mary Kough). Northern Railway of Canada, Wikipedia article, http://en.wikipedia.org/wiki/Northern_Railway_of_Canada. “Ontario Marriages, 1869-1927,” index, FamilySearch (https://familysearch.org/pal:/MM9.1.1/FMV5-ZZ4 : accessed 23 Aug 2014), George Mclaren Brown and Eleanor G Crerar, 16 Apr 1891; citing registration 012725, Hamilton, Wentworth, Ontario, Canada, Archives of Ontario, Toronto; FHL microfilm 1870470. “Canada Passenger Lists, 1881-1922”, index and images, FamilySearch (https://familysearch.org/pal:/MM9.1.1/2HGT-WC9 : accessed 23 Aug 2014), George Mcl Brown, 1911. “England, London Electoral Registers, 1847-1913”, index and images, FamilySearch (https://familysearch.org/pal:/MM9.1.1/QJFY-81NR : accessed 23 Aug 2014), George Mclaren Brown, 1912. 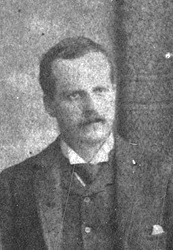 “England, London Electoral Registers, 1847-1913”, index and images, FamilySearch (https://familysearch.org/pal:/MM9.1.1/QJFB-HLWJ : accessed 23 Aug 2014), George Mclaren Brown, 1912. “New York, Passenger Arrival Lists (Ellis Island), 1892-1924,” index, FamilySearch (https://familysearch.org/pal:/MM9.1.1/JJHX-8Y7 : accessed 23 Aug 2014), George McLaren Brown, arrived at New York, 09 Dec 1916, on the Finland; citing National Archives, Washington D.C.
“Canada Passenger Lists, 1881-1922”, index and images, FamilySearch (https://familysearch.org/pal:/MM9.1.1/2H2K-4LW : accessed 23 Aug 2014), George Mclaren Brown, 1919. Col. Sir George McLaren Brown, Who’s Who in Canada, 1923-1924, page 55 (includes photograph). Col. Sir George McLaren Brown, Who’s Who in Canada, 1928-1929, page 1223 (includes photograph). Sir George McLaren Brown, Montreal Gazette, Sep 24, 1936, page 10, http://news.google.com/newspapers?id=w30tAAAAIBAJ&sjid=7pgFAAAAIBAJ&pg=6880%2C2937284. “Sir George Retires,” Vancouver Province, October 1, 1936, page 4. Sir George Brown, Noted Railwayman, Dies at Toronto, Ottawa Citizen, Jun 28, 1939, page 9, http://news.google.com/newspapers?id=VI0vAAAAIBAJ&sjid=6tsFAAAAIBAJ&pg=7247%2C6615389. “Sir George McLaren Grown Is Dead After Operation In Toronto: Was C.P.R. Agent Here in 1887: Youthful Injuries Caused Death of Distinguished Railwayman,” Vancouver Province, June 28, 1939, page 10 (includes photograph). Col. Sir George McL. Brown, Pioneer C.P.R. Official, Dies, Vancouver Sun, June 28, 1939, page 4, http://news.google.com/newspapers?id=1zFlAAAAIBAJ&sjid=MIkNAAAAIBAJ&pg=1406%2C3953005. Find A Grave, Find A Grave Memorial# 123028501, George McLaren Brown, http://www.findagrave.com/cgi-bin/fg.cgi?page=gr&GRid=123028501. John Crerar, A Cyclopedia of Canadian Biography, Being Chiefly Men of the Time, ed. George Maclean Rose; Toronto, Rose Publishing Company, 1886, pages 45-46.